The new increased data plans and prices by etisalat network has really left many talking including i myself being one of this nosy personnel on this issue. The point i would always clamor for is that normally etisalat does not even offer cheap data plans, as we all know, overtime etisalat data plans has been the most expensive, in which this hike in data plan by etisalat has driven most Internet users to other network providers. 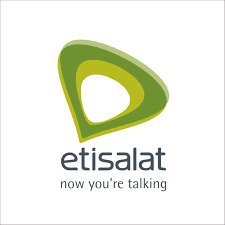 Sincerely i do not know the reason behind the sudden increase in etisalat data plans, some say its because of the newly unveiled 4G LTE service in Nigeria, which came up some few weeks back. But i do not see this 4G LTE stuff as a reason because arguably Etisalat is the fastest network for the Internet especially in terms of downloads and streaming. Well to conclude this increase is not fair at all, i will prefer they reduce it soonest because they might loose some users who can not afford it. Doing a comparison on etisalat amd glo networks, we can say glo is by far the cheapest in terms of data plans. Etisalat 3.5GB data plan goes for N2,500, meanwhile Glo offers 3.2GB data for just N1000. But we know the problem with Glo network, in terms of poor 3G coverage and also slow download speed. Well i hope things change some so that data plans will be so cheap and affordable. Hope this post is very helpful, Kindly Hit the share buttons below to share with friends and also let me know what you think or feel about the post by posting a comment. Thank you! Sure you can, if you love it, then go for it. The LTE stuff is really not a criteria for any mobile, though most networks now use LTE, that doesn't mean it will not browse, its has HSPDA+ which works like 4G..also for the flash, the camera is very cool.. I have friends that uae the tecno w4 and there's no complaints on camera. .. Enter Your E-mail Address Below To Receive Our Latest Free Browsing Cheat Updates Now.